On your mark, get set, go! Head to RPM Raceway and get ready to start your engines. The thrill of the racetrack comes indoors at RPM Raceway. Experience real head-to-head racing at RPM Raceway and discover why indoor karting is the fastest-growing sport in the United States. If you think this is kids play…well, think again! With a 1/4 mile racetrack with electric go karts that can go up to 45 mph, RPM Raceway delivers the adrenaline rush of the racing experience. 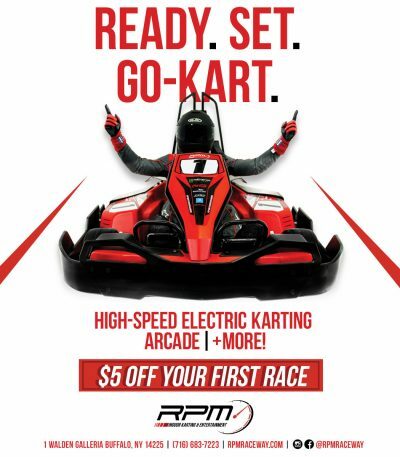 Show this flyer at RPM Raceway and get $5 OFF your first race! See RPM for full details and exclusions.